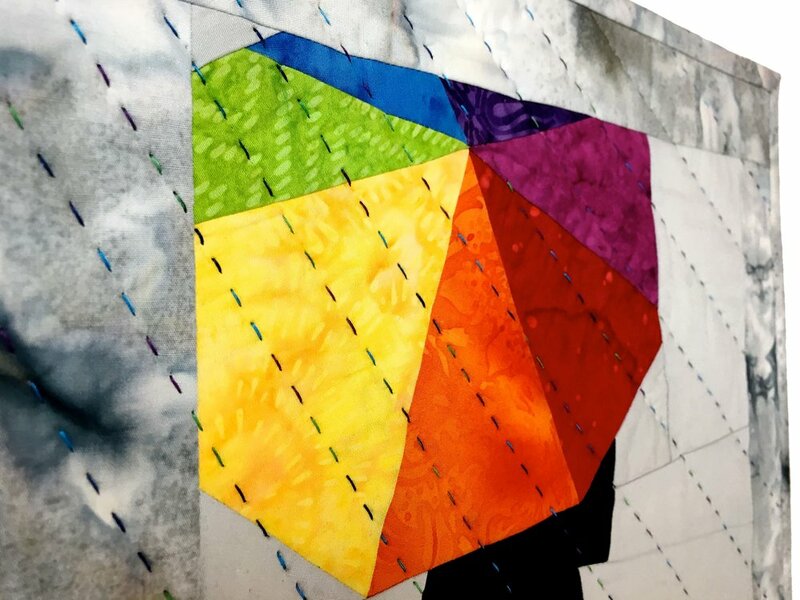 The October project for Island Batik Ambassadors is to use any paper piecing technique to create any size quilt. Our fall has been so rainy, an umbrella was in order! 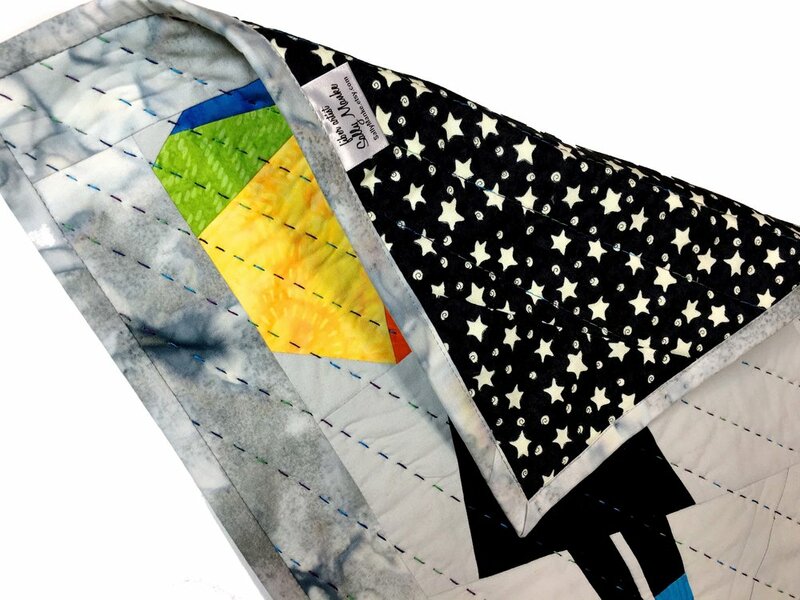 This gives me another opportunity to use my Cutterpillar Glow Ultra light board and to tap into free patterns from Craftsy, this one by pattern designer JmzB Quilts. I'm adapting the pattern to use freezer paper piecing. Fabrics are provided by Island Batik. Because I'm working with so many colors and pieces, I put a dash of color on each pattern piece so everything will flow together smoothly. Each paper piece is perforated by stitching to provide accurate, even fold lines before adding each fabric in order. What do they say about the best laid plans? 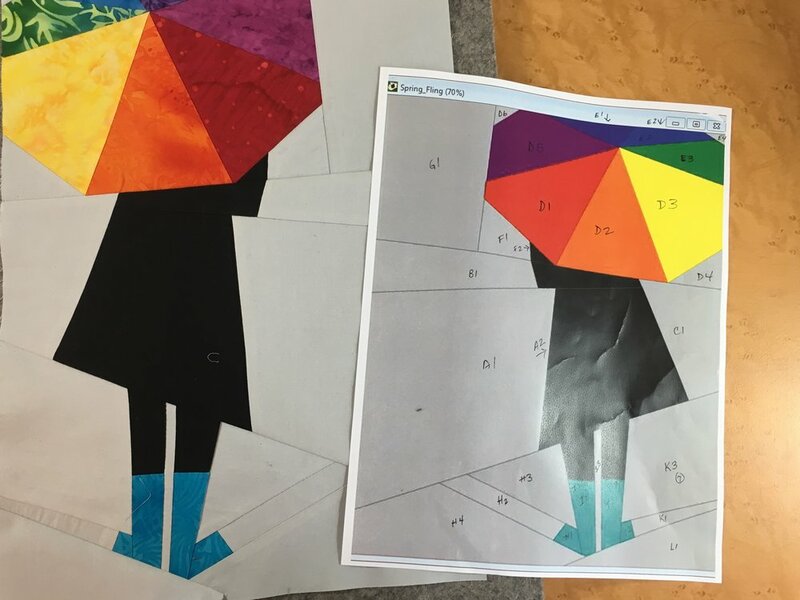 Despite labeling each paper piece with color to prevent errors...the boots and legs needed a re-do! OOPS! On a happier note...at least I caught it when it could be easily fixed! Ready for some borders before quilting. While auditioning border fabric, that green umbrella section keeps calling out, "are you sure I'm the right one for this spot?" NOPE! It's not! It would have been great to make that decision without needing to un-sew but better than after it is quilted! The bright green is the new one. Auditioning some 'rainy' glitter threads for quilting this little project. My Baby Lock USA Sashiko Machine is happiest with a variegated King Tut Thread from Superior Threads so that will become the rain. 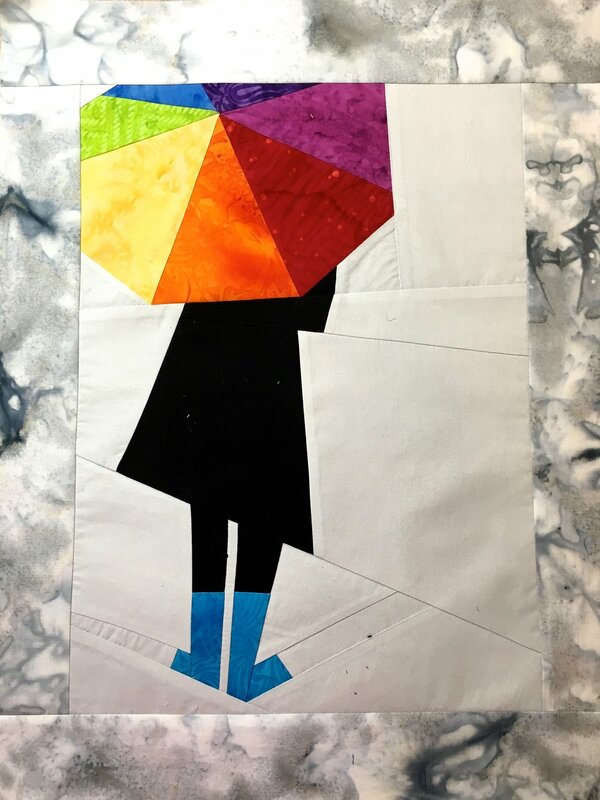 Here’s the completed paper pieced project, RAINY DAYS AND SUNSHINE. Just makes me want to go splash in a puddle. The Hobbs Thermore batting allows this to hang perfectly flat on the wall but still shows off quilting stitches. 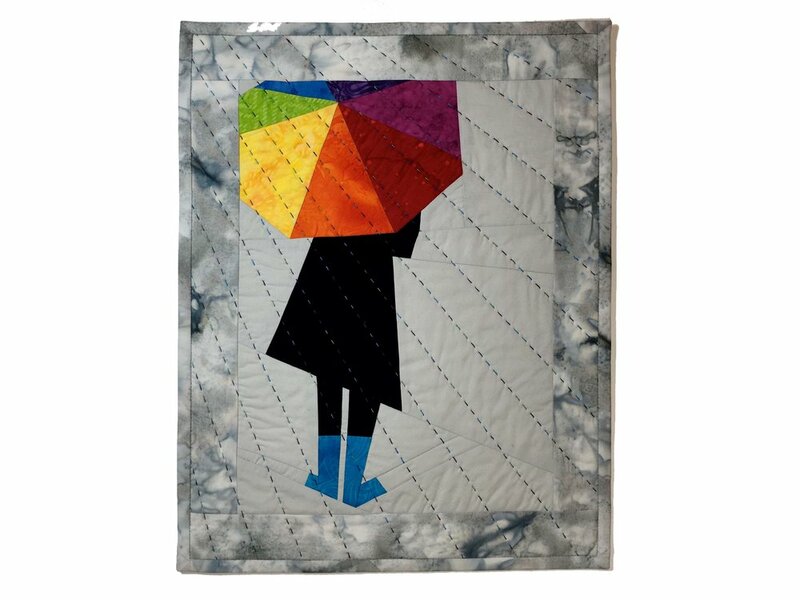 Find this and other art quilts in my Etsy Shop.